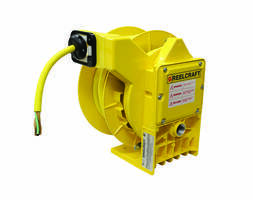 Reelcraft’s lightweight and compact Series LG cord reels are constructed from a durable, impact resistant composite material. 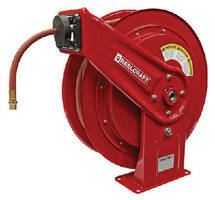 Three new models have been added to this medium duty line of cord reels with two new cord endings. The new power cord reel option features circuit breaker protected, quad grounded NEMA5-15 outlets with LED power “on” indicator light. 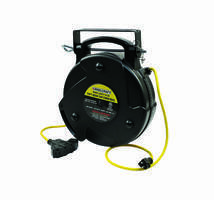 The quad outlet reel is available with 65’ of 12/3 cord or 75’ of 14/3 cord. The new light cord reel option features a 1300 Lumen LED light with bright COB illumination, a grounded 12 amp outlet and an on/off switch on the handle. 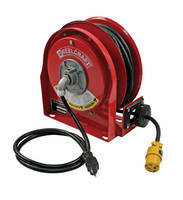 The LED reel model is supplied with 50’ of 14/3 cord. All three new Series LG models are ETL listed. 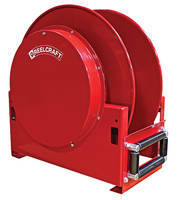 For additional information call 1-800-444-3134 or visit Reelcraft at www.reelcraft.com.